One of the great things about San Diego is that you can visit the beach and the mountains all in the same day. 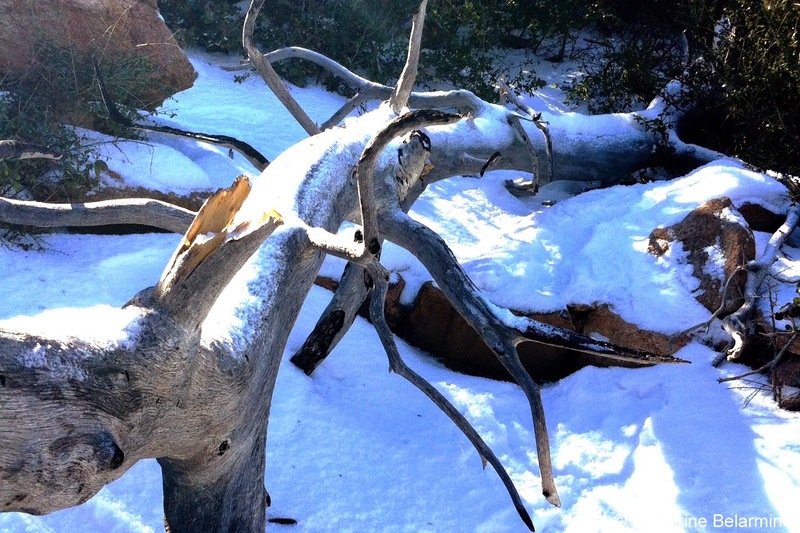 Believe it or not, sometimes those mountains in San Diego County actually have snow. Descanso is located in the Cuyamaca Mountains in San Diego County and has one of my favorite San Diego hiking trails, Stonewall Peak Trail. 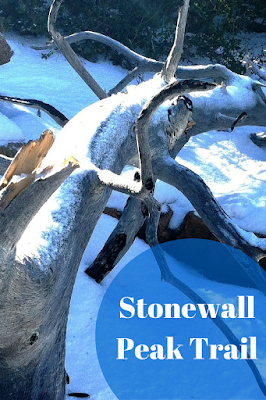 Stonewall Peak Trail is a beautiful hike any time of year, but if you can coordinate your hike to occur after it snows, it is that much more beautiful. 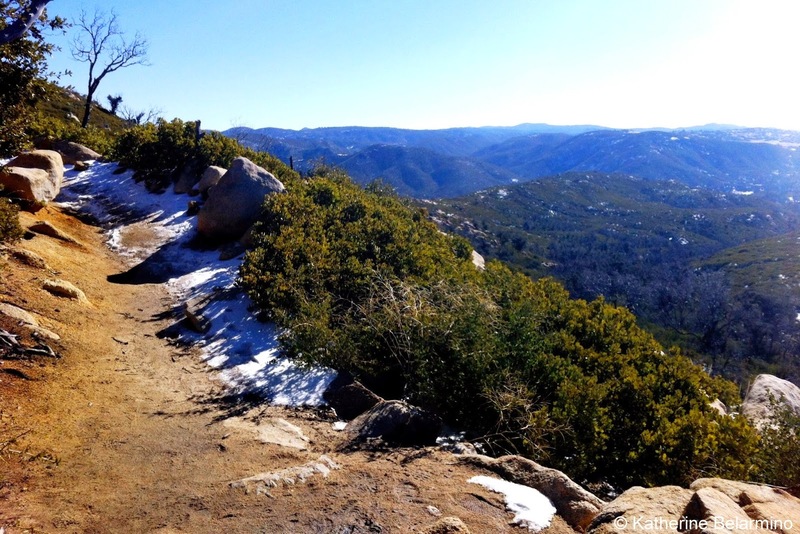 Cuyamaca Rancho State Park is located in east San Diego County in the Peninsular Range, which includes Cuyamaca Peak, the second highest point in San Diego County at 6,512 feet. Stonewall Peak is a little lower, at 5,700 feet, and can be reached via a two-mile hike from Paso Picacho campground (which offers day parking for hikers). 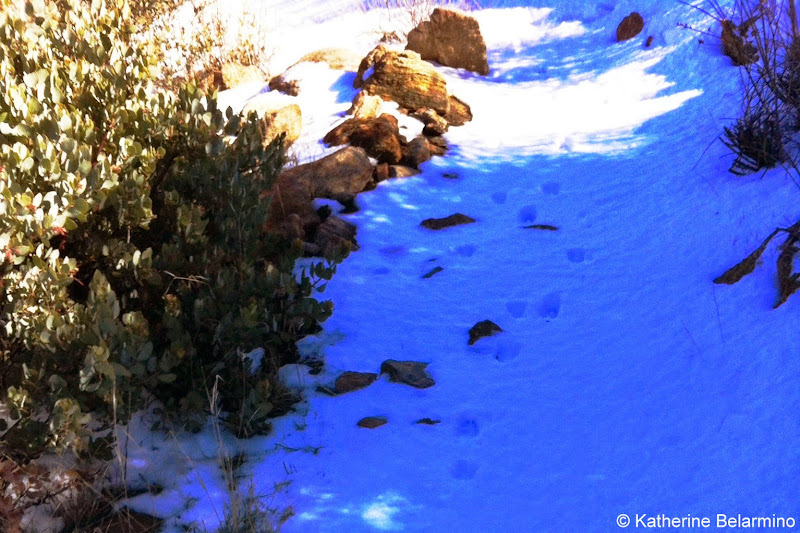 The trail climbs from 4,800 to 5,700 feet but is only moderately difficult as there are a number of switchbacks. The final climb to the peak involves climbing up some stairs with a handrail (this part can get a little slippery in the snow). Stonewall Peak overlooks the previous site of the Stonewall Mine, one of the region’s most profitable gold mines in the late 1800s. 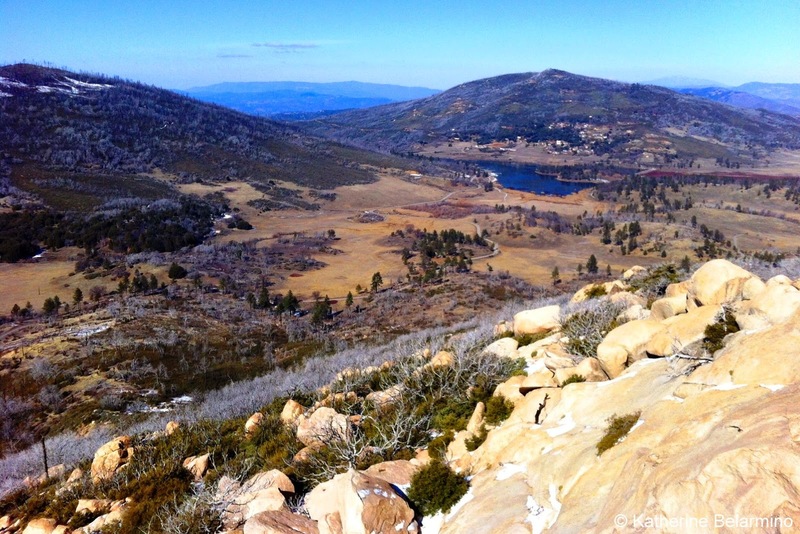 Lake Cuyamaca can also be seen in the distance. Stonewall Peak is a great place to relax, have a snack, and cool off. It can get windy at the top, but it feels good after the hike up. Even with snow on the ground we got pretty hot. While many hikers to Stonewall Peak hike back the same way they came, the more scenic route is to keep heading north along Stonewall Peak Trail. This portion of the trail is not as heavily trafficked, and when there’s snow this is where it sticks for the longest. When we hiked the trail the snow was virtually untouched and we actually saw animal tracks following the trail. The Stonewall Peak Trail intersects with the Vern Whitaker Trail, which leads from the Vern Whitaker Horse Camp, and is where you will make a left to start heading west. A short while later you’ll make a left turn again onto the Cold Stream Trail, which parallels Highway 79. 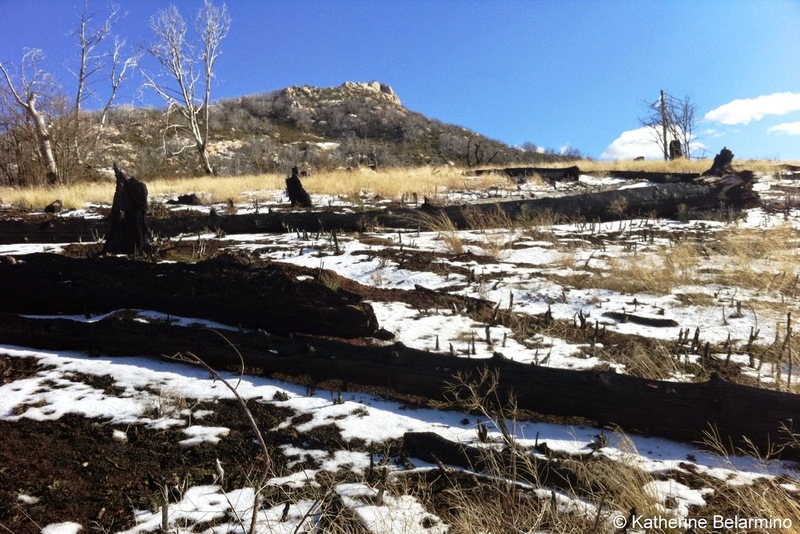 Hiking through this section you will still see the devastating effects of the 2003 Cedar Fire, with blackened tree trunks lying scattered along the ground. There are also signs of the reforestation project which is replanting the park. Altogether the Stonewall Peak Trail is a loop that is just over five miles and is a hike that can be enjoyed by hikers of varying abilities. 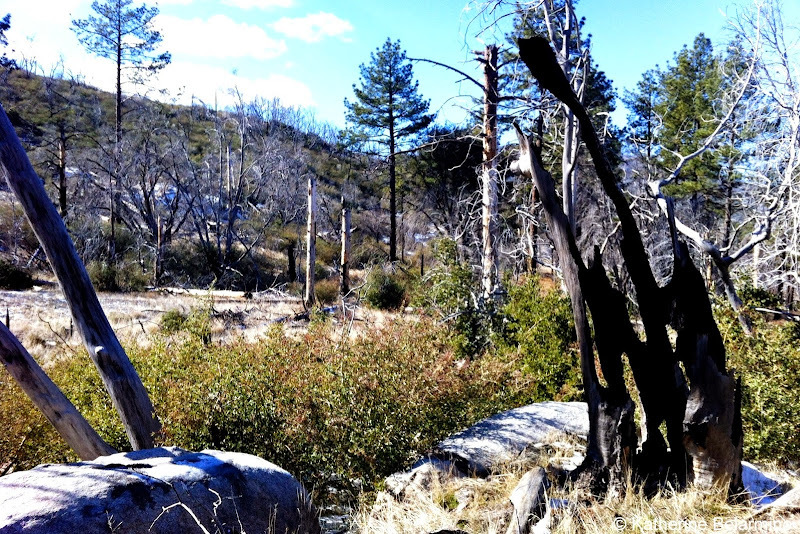 The Cuyamaca Mountains are less than an hour drive from San Diego, giving visitors an easy escape from the city to visit forests and mountains and nature. The Stonewall Peak Trail is in my opinion one of San Diego’s best hiking trails, especially during the rare times when snow is on the ground.